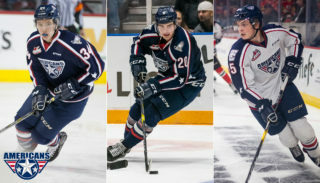 KENNEWICK, WA – NHL Central Scouting released their November ‘Players to Watch’ list for the 2019 NHL Entry Draft on Monday. 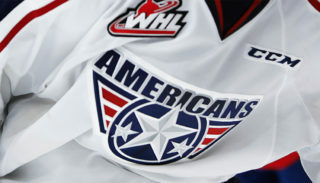 Forty-one total skaters from the Western Hockey League were recognized including three from the Tri-City Americans: Sasha Mutala, Mitchell Brown, and Krystof Hrabik. Mutala received a ‘B’ ranking which indicates a potential second or third round draft selection. The 17-year-old forward has started the 2018-19 season with 13 points in 14 games (four goals, nine assists). He had a career-high seven game point streak from October 16 through November 2 totaling three goals and seven assists in that timeframe. 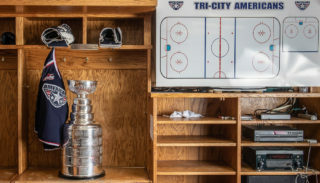 The 2019 NHL Entry Draft will take place June 21-22 in Mutala’s hometown of Vancouver, BC. Central Scouting also listed him with a ‘B’ grade last month on their initial Players to Watch list. After being left off last month’s report, Brown was recognized on the updated list with a ‘C’ ranking, which indicates a potential fourth, fifth, or sixth round candidate. The 17-year-old defenseman leads the Americans in plus/minus with a +9 rating. So far this season he has tallied six points through 16 games played (one goal, five assists). Hrabik also emerged on Central Scouting’s list for the first time this month. Along with Brown, he was labeled with a ‘C’ grade. The Praha, Czech Republic native was selected first round (41st overall) in the 2018 CHL Import Draft by Tri-City. He has recorded 11 points through his 16 WHL games (four goals, seven assists). Central Scouting will release their mid-season rankings on January 21, 2019—prior to the CHL Top Prospects Game. This is a composite seven round (217 players) ranking of all North American prospects for the 2019 NHL Draft. Holiday Packs are now available! 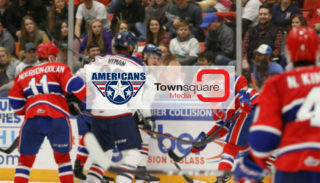 Get four tickets, two $10 concession vouchers, and two Americans hats for only $60! Click here.